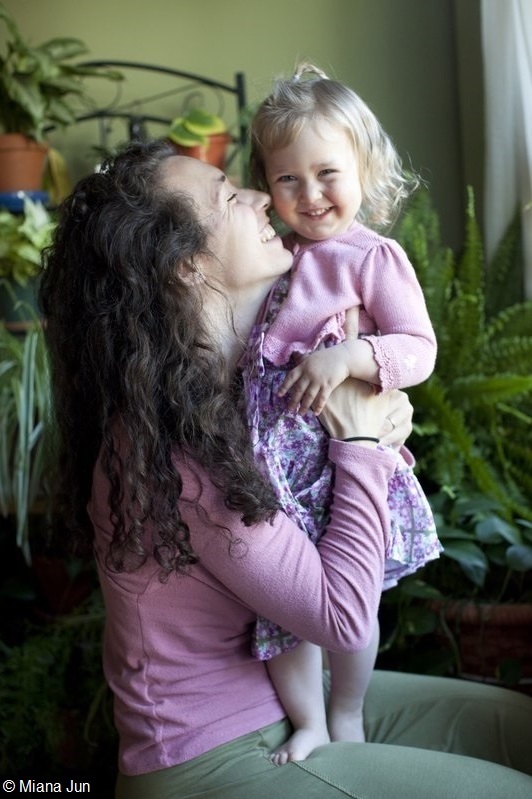 This was a guest blog post I wrote for Living Beyond Breast Cancer for their recent “Pregnancy After Breast Cancer: What you Need to Know” initiative, about having my daughter after breast cancer. I was diagnosed with breast cancer and learned that I carry the BRCA1 gene mutation a month before getting married and moving to a new state. I was 33, and strove to keep things as normal as possible for our newly blended family of five. My husband and I wanted to have another child. This newlywed dream was pushed aside as days became filled with countless doctors’ appointments and evenings of late-night research. I had six “second” opinions. All were urging me to have a double mastectomy. I couldn’t wrap my head around the concept of removing my unaffected breast at that time, and ended up deciding to have a unilateral mastectomy. Maintaining this seed of hope — that we would one day be able to conceive a child and that I would be able to breast-feed — gave me courage as I moved toward decisions about surgery and treatment options. After the whirlwind of breast cancer subsided, my husband and I broached the question of pregnancy with my doctor. My medical team met with the tumor board to discuss my case. We were not sure what to expect. Having a baby post-breast cancer is a controversial topic, and the information I pored over at the library and online seemed inconclusive, if not bleak. I was discouraged. My breast cancer had been highly estrogen receptor-positive, and all of the young women I met through a support group had been told they could not or should not have more children. Maintaining this seed of hope — that we would one day be able to conceive a child and that I would be able to breast-feed — gave me courage as I moved toward decisions about surgery and treatment options. My husband and I were delighted to hear that recent studies appeared more favorable. My doctors were not aware of any clear data on the risk of BRCA mutation-positive survivors and pregnancy. We were advised of my high lifetime risk of breast and ovarian cancer, and told that if we wished to proceed we should waste no time. If all went well, the plan was to have a baby and breast-feed, then remove my remaining breast and ovaries afterward to further reduce the chances of additional hereditary cancers. We weighed the risks against our hopes, and decided to try to have a baby. It was not long before I became pregnant, and our whole family was filled with excitement. However, near the end of my first trimester, I miscarried. It was a difficult and uncertain time, which required physical and emotional healing before we were ready to try again. When we were able to conceive again, my belly swelled — and along with it, my singular breast grew two cup sizes! Through a referral to the local “breast fairy,” (certified fitter of mastectomy products) I obtained a prosthetic, which could be slipped inside my bra whenever I felt the need to be symmetrical. Would you believe there is no such thing as a pregnancy mastectomy swimsuit? I learned that it’s possible to stitch “do it yourself” mastectomy pockets out of stretchy nylon fabric. After 9 months of anxiously waiting, we were blessed with a baby girl. I was able to nurse her with my remaining breast. It was not easy at first. She did not take to breast-feeding naturally, as my son (born before my diagnosis) had. My daughter initially had difficulty latching on and suckling properly. It was discouraging. 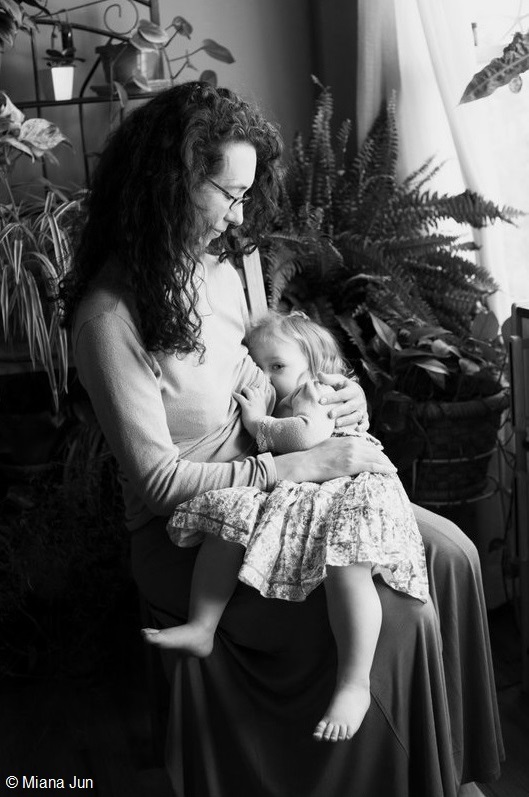 Thankfully, I was referred to a lactation consultant who guided me through the process of building milk supply and helped my little one and I learn to nurse more effectively. There also appears to be no such thing as a mastectomy nursing bra. With no time to sew stretchy nylon pockets while juggling a newborn, I would tuck my breast form inside of my nursing bra. My little one would regularly pull it out, before I could even realize she was grabbing for it. Times like this call for a sense of humor … and it felt good to welcome the laughter. I was able to nurse my daughter exclusively for 6-and-a-half months and regularly for 2 years. There was something about coming face-to-face with my own mortality that made these “ordinary miracles” of birth and breast-feeding especially extraordinary. I shed many tears of gratitude as I sat rocking my little one to sleep, knowing how truly blessed we were. I know that other survivors have had children after breast cancer, but these are not commonly told tales. I had heard of only two such women while I was doing my research, and it gave me such hope. I’m grateful that today there are resources such as LBBC, where women can learn about the latest data and read stories of others who have had these experiences before them. Rebecca Pine was diagnosed with breast cancer in 2009. She is a writer and workshop facilitator for The Breast and the Sea, which she has co-founded with photographer Miana Jun. The Breast and the Sea is a written and photographic project that empowers those faced with breast cancer in the process of emotional healing through personal interviews, photographic witnessing, community support, and reflective, nature-based movement workshops. The above photos of Rebecca and her young daughter are from The Breast and the Sea. You can follow Rebecca’s blog at 4kids1breastreadyornot.